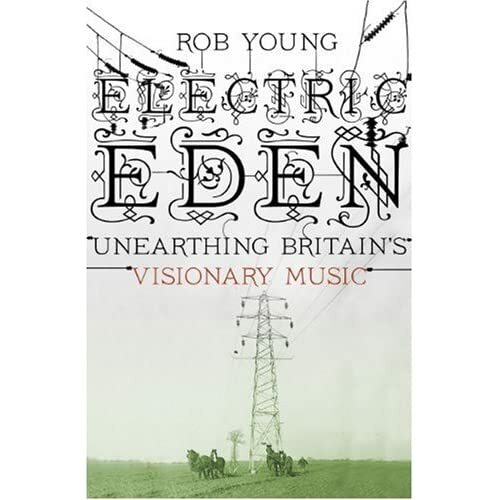 Acclaimed UK music writer Rob Young (Wire, The Guardian) is set to release his book Electric Eden: Unearthing Britain’s Visionary Music charting the rise of British classical and folk music from the 19th century to today. Electric Eden: Unearthing Britain’s Visionary Music is set to be released on the 5th August. An article written by Young for The Guardian on the subject of why folk music is “hip” again is also well worth a read – check it out here. While the John Butler Trio do their best to crack the tough American market they’ve found time to film and release a video to their latest single “Revolution”. If you’re one of the few people in Australia who hasn’t gotten their hot little hands on JBT’s latest outing April Uprising and you like what you hear with “Revolution” you can stream a preview of the entire album on the band’s web site. While Fleet Foxes lead singer Robin Pecknold is busy touring the US with Joanna Newsom his bandmate and drummer Joshua “J” Tillman is set to release his seventh solo album on the 14th September. Entitled Singin Ax the album will only be available on vinyl or mp3. Singing brooding folk that is reminiscent of Matt Bauer, J. Tillman manages to easily distinguish himself from his more famous band. Download a free copy of Tillman’s song Three Sisters here. Not to be outdone by the likes of Monsters of Folk and Mt. Desolation members of Snow Patrol, REM, Editors and Belle & Sebastian, among others, have banded together to form their own folk supergroup. 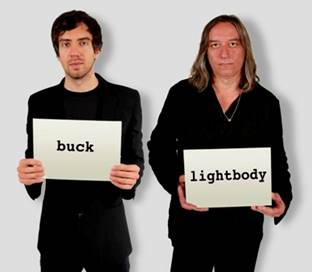 Named Tired Pony, the group features Gary Lightbody (Snow Patrol), Peter Buck (REM), Tom Smith (Editors), Troy Stewart (Snow Patrol touring band), Iain Archer (Snow Patrol collaborator) and Richard Colburn (Belle & Sebastian). You can listen to snippets of Tired Pony’s music on their MySpace (no full tracks unfortunately). The band’s debut album The Place We Ran From is available now. Fleet Foxes lead singer Robin Pecknold has been touring the US with Joanna Newsom and his brother Sean Pecknold has captured the event on film and posted it as a “Tour Documentary” on the band’s brand new web site. Pecknold (Robin, not Sean) can be seen in the doco playing a couple traditional tunes (“Look Down That Lonesome Road” and “Silver Dagger”), a cover of Jackson C. Frank’s “Blues Run the Game” and Fleet Foxes’ track “Blue Spotted Tail”. Newsom also makes a cameo. Watch the whole thing in glorious HD on the Fleet Foxes site. The new Fleet Foxes site also features photos (such as the one above) of the band recording their upcoming album. We’ll keep you posted if we hear more about release dates. The artist lineup for this year’s Fleurieu Folk Festival has just been announced and it features some of South Australia and the nation’s best folk musicians. Set in the picturesque township of Willunga, about 50Km south of Adelaide, the Fleurieu Folk Festival will be happening this year from the 22nd – 24th October. Confirmed guests for this year’s event include Saoirse, Senor Cabrales, Tutti Ensemble, Danny Spooner (above), The Lurkers, String Theory and many many more. 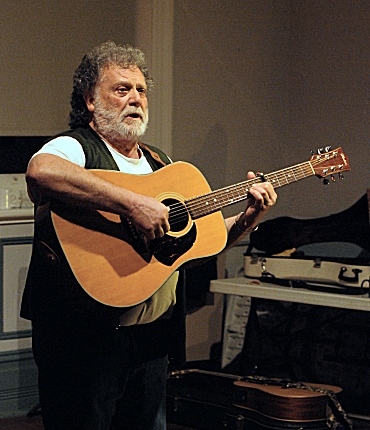 Check out the festival’s program web page for full performer details. Melbourne acoustic vaudeville lovelies Tinpan Orange are about to hit the road to celebrate the launch of their new single “Like Snow”. The band, made up of Emily Lubitz, Jesse Lubitz and Alex Burkoy start their dates at the Northcote Social club in their home town before heading to Sydney, Bangalow, Fremantle and Darwin. This will be your last chance to catch Tinpan Orange before they head overseas to support The Cat Empire later this year. The Leisure Society is one of those bands that is a just a pure pleasure to listen to. Their sweet, ethereal melodies just wash over you and take you to a place of pure bliss. Like Sufjan Stevens or The Welcome Wagon, there’s just something really nice about the music produced by The Leisure Society. Made up of Nick Hemming, Christian Hardy, Helen Whitaker, Sebastian Hankins, Michael Siddell, William Calderbank and Darren Bonehill, The Leisure Society owe their expansive nu-folk sound to the pure musicianship of their individual members. Covering everything from guitars to pianos to flutes to mandolins, The Leisure Society are orchestral in nature without being overwhelming like similarly sized acts like Arcade Fire or Broken Social Scene. The brainchild of lead singer Nick Hemming, The Leisure Society originally hail from Burton-Upon-Trent in the UK. The band released their first long player The Sleeper in 2008 to much critical acclaim with their singles “The Last Of The Melting Snow” and “Save It For Someone Who Cares” nominated for an Ivor Novello award in 2009 and 2010 respectively. Since then the band have signed to the label Full Time Hobby and rerecorded much of their earlier material. Currently touring in the UK and Europe, The Leisure Society are also finding time in their busy schedule to record the followup to The Sleeper which will hopefully be released later this year. They probably won’t make it to our shores anytime soon but check out their MySpace for a taster of one of the nicest sounding bands you’ll ever hear. Damon Gough, otherwise known as UK singer-songwriter Badly Drawn Boy has announced plans to release a trilogy of albums under the title It’s What I’m Thinking. The first, currently subtitled Pt.1 – Photographing Snowflakes, is due to be released on the 4th October this year. The first single from the album “Too Many Miracles” will be released on the 27th September.